Any time you’re in a moving vehicle, there’s a chance you could be in an accident. This is true even when you’re riding in an Uber or a Lyft. Should you ever become injured through a rideshare accident, it’s important that you take a few essential steps to keep yourself safe—and to maintain a strong insurance claim. Here’s a quick Uber car accident checklist, as compiled by a Uber accident lawyer. Make sure everyone is safe. First things first: Stop to see if you or anyone else in the car is visibly injured. (For instance, look for major blood loss, visibly broken bones, or anyone who’s unable to be ambulatory.) If you need medical attention, call 911 and have them send an EMT. File a police report. Whether or not anyone is injured, you’ll always want to make sure there is a police officer on the scene. Offer your testimony, as the official police report will provide a good baseline of fact should you ever end up litigating. Report the accident to Uber. You can go into your Uber app and report that the ride ended in an accident—and you’ll likely get a quick reimbursement for your rideshare fees. Seek medical attention. Regardless of whether you think you “need” medical attention, it’s best to head to the doctor or to a nearby urgent care. This ensures that a medical professional has a chance to check you out for hidden injuries. It also strengthens your insurance claim. Follow the doctor’s orders. Do whatever the clinical professional recommends—whether that means follow-up appointments, medication, or physical therapy. This is an important way for you to make sure you recover properly—and again, it strengthens your insurance claim. Work with a seasoned lawyer. Insurance adjustors will try to trip you up or to avoid paying their fair share—and frankly, dealing with them can be a hassle. One way you can eliminate the headaches is to enlist the expertise of an Uber accident lawyer. Don’t talk to the insurance company without your lawyer present.Avoid making any statements to the insurance adjustor—or accepting any payments—without having your Uber accident attorney present. Focus on getting well. Once you have a lawyer working for you, you can put all your attention on what matters most—making a full and speedy recovery. Been in an Uber Accident? Here’s what you need to know By following these Uber car accident checklist and tips, you can promote a fast recovery following an Uber accident—and you can also maximize your odds of getting just compensation. Keep these tips in mind, because you never know when a rideshare experience could take an unexpected turn. Do Doctors Face Disciplinary Actions for Medical Malpractice? Forbes reported in 2016 that Americans file an estimated 17,000 medical malpractice lawsuits annually, with studies showing that 75 percent of doctors in low-risk specialties and 99 percent of doctors in high-risk specialties have faced malpractice claims. In March 2017, CBS News reported that one study showed paid medical malpractice claims decreased 56 percent between 1992 and 2014, but average payouts for successful claims increased roughly 23 percent, from $287,000 to $353,000. The study cited by CBS relied on information obtained through a review of National Practitioner Data Bank (NPDB). The NPDB is a database run by the United States Department of Health and Human Services that tracks medical malpractice payments and lists other damaging information about medical professionals. Information on the NPDB is not available to the general public. Alabama residents who are hoping to know more about whether their own physicians may have faced medical malpractice actions can turn to the Alabama State Board of Medical Examiners (BME) and the Medical Licensure Commission of Alabama. These agencies publish information about public license actions, and the information remains public for three months. After three months, the information can be found in the Public Action Reports in the BME Newsletters Archives and the Public Log File online database. On the BME and the Medical Licensure Commission of Alabama website, you can see if any action has been taken against a physician’s license by looking up the licensee through an online license verification search. You can download the documents using the Public Log File database when there is a public file. On September 7, the Alabama Media Group published a searchable database after it gathered disciplinary records from the state board of medical examiners. You can search by first name, last name, offense, and discipline. The results include a brief summary of physicians’ infractions, but the Media Group reported that the most common infraction was failure to meet annual education requirements (doctors are required to take 25 hours of continuing education every year to remain licensed). Other infractions included drug abuse, sexual abuse, violations of ethical standards, and prescribing excessive amounts of painkillers. In October 2016, the Media Group reported that federal data showed residents in Alabama received fewer payments per capita in medical malpractice cases against practitioners than residents of any other state between 2004 and 2014. 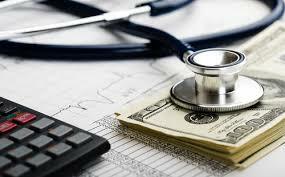 According to the 2017 Medical Malpractice Payout Analysis by Diederich Healthcare, Alabama had a per capita rate of $5.37 in 2016, the eighth-lowest in the nation. Diedrich also reported that the total medical malpractice payouts in Alabama that year were $26,092,950, which marked a 35.59 percent increase from medical malpractice payouts in 2015. The Media Group also reported that approximately 90 percent of patients in Alabama who alleged injury due to medical malpractice lost their cases. Many medical malpractice actions end up being unsuccessful for various reasons. In most cases, an alleged victim simply lacks the evidence necessary to meet strict legal definitions as they relate to medical malpractice claims. People can be quick to accuse doctors of medical malpractice, but it is important to understand that dissatisfaction with a medical outcome should never be the primary cause of a medical malpractice action. Remember that under Alabama Code § 6-5-548, a plaintiff has the burden of proving by substantial evidence that a health care provider failed to provide the standard of care, or care that a reasonable and competent healthcare provider in the same situation would have provided. With a medical malpractice case, you will have to demonstrate that a medical professional did not meet the applicable standard of care and such a failure was the proximate cause of your injury, resulting in damages. If you think that you or your loved one has been the victim of medical malpractice in Alabama, it is in your best interest to quickly retain legal counsel. An experienced personal injury attorney will be able to conduct an independent investigation of your incident and determine if there was any negligence for which you could be entitled to damages. Farris, Riley & Pitt has been helping medical malpractice victims for more than two decades. Call (205) 324-1212 to schedule a free consultation that will allow our attorneys to review your case and help you understand all of your legal options. http://www.findattorneys.org/wp-content/uploads/2018/02/findattorneys.org_-3.png 0 0 Jessica http://www.findattorneys.org/wp-content/uploads/2018/02/findattorneys.org_-3.png Jessica2018-10-05 11:24:252018-10-05 11:28:01Do Doctors Face Disciplinary Actions for Medical Malpractice? You see the advertisements all the time. A television commercial asking if you have been the victim of side effects related to a certain drug or medical device. Many attorneys advertise for class action lawsuits. So many that you may think there are countless lawsuits over the same thing. Well, you’d be wrong. Although you may see many attorneys advertising, it is likely they are advertising for the exact same lawsuit. So why so many commercials? Why would an attorney not handling a lawsuit advertise for another? Referral fees, my friend. Referral fees. Class actions are nothing new in the Untied States legal system. An easy way to understand them is to image a normal lawsuit, only with a whole lot of people suing the same person. Class actions are done when there are many victims and it is in the best interest of everyone (the plaintiffs, defendant, and court system) to combine things into one trial. Class actions begin with a lawsuit, normally from a single victim. During the preliminary stages of the trial, it is found that there are likely many victims who may have a similar claim against the defendant. The judge will then be asked to combine them all into a “class” which means they all become plaintiffs and will receive part of any award or settlement that is reached. Why Drug and Medical Device Lawsuits? Many attorneys focus on drug lawsuits because they are the most common form of class action. Since many people wind up taking the same prescription or use the same medical device, there is a good chance that many people were harmed when something goes wrong. You will find websites and advertisements everywhere that are set up to look for people who may be the victim of a drug injury. There are so many that you can obviously see there is no shortage of victims. For class action lawsuits, there is generally only one law firm handing the case. In the end, assuming there is a judgment, the firm will receive approximately 25 percent of the award. That amount is for the main law firm handing the case. So what about the other attorneys who are advertising the lawsuit? Well, they get referral fees. For class action lawsuits, it is important that the main law firm find victims, or members of the “class.” Attorneys advertising on television are basically doing that. They are not handling the litigation, only referring victims to the main attorneys. In some states, referrals to recommend an attorney are not legal. However, this is bypassed as attorneys are not recommending a specific attorney to handle their case. They are referring victims who are already part of the class and would need to go to a specific attorney (the main law firm handing the case) for recovery anyways. In essence, it is more of a finder’s fee than a referral fee. The amount received for each referral will depend on a number of factors. Some pay by person, the quality of the referral (how much they were harmed), and the overall amount of the settlement or award. Fees can range anywhere from a few hundred to a few thousand dollars. Not bad for simply advertising and referring people. The purpose of this piece is to let you know that you don’t really need to go through countless attorneys if there is a class action you are affected by. You don’t need to vet each one as there is likely an attorney already assigned as the main litigant. Any attorney you reply to will likely only refer you to them. Of course, you should still do your own research to make sure you chose the right attorney for your case. You can find an attorney to evaluate your case by searching our database.